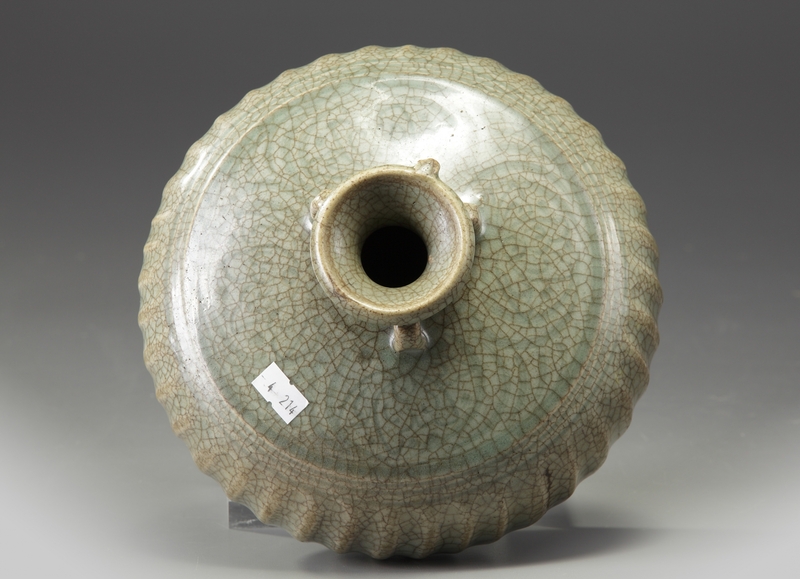 The squat jar is decorated with three slender strap handles to the neck, an incised floral band to the shoulder, and ribbed flutes to the globular body. 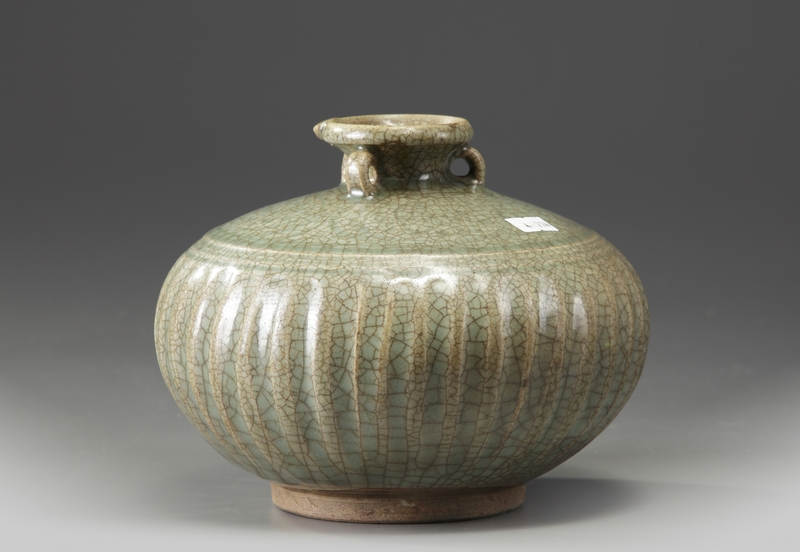 The jar is covered overall in a crackled olive-celadon glaze stopping just above the foot. 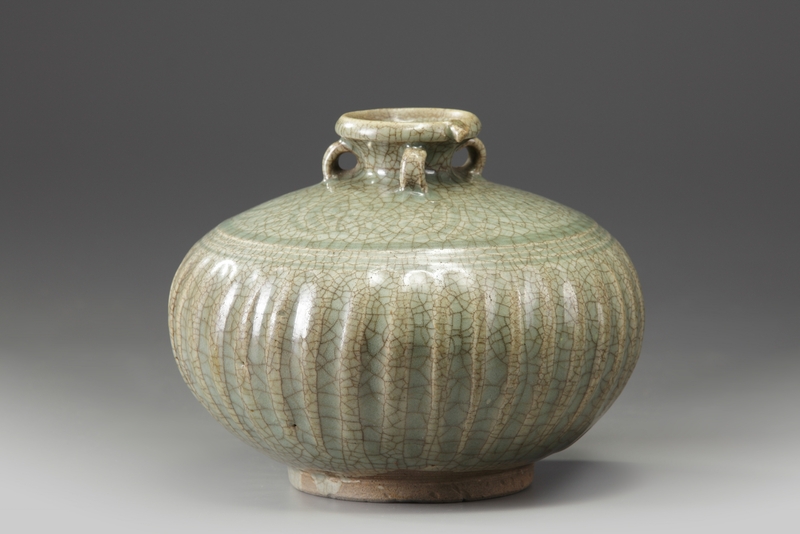 Catalogue note: compare a very similar celadon-glazed jar dated to the 14th century in the Art Gallery of New South Wales, Sydney, accession no. 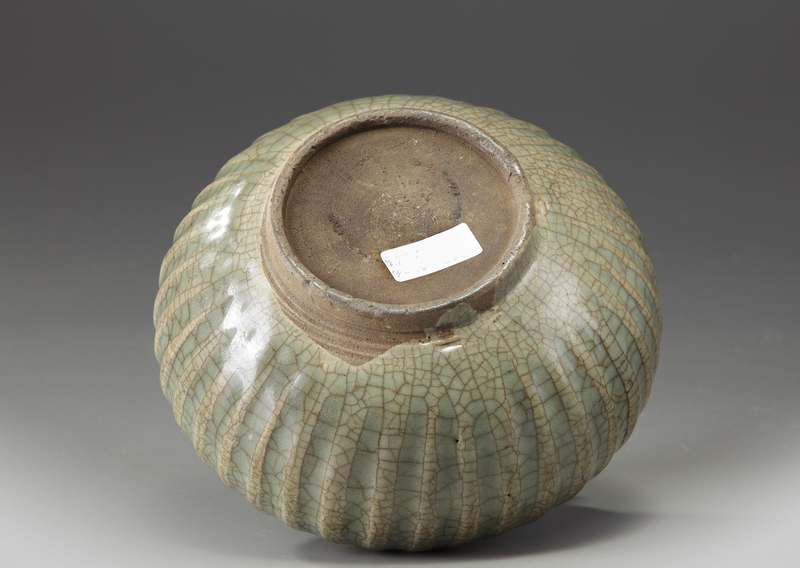 EC6.1967.